Experience the party scene in Miami with this South Beach Miami Nightclub Party Package. Get instant access to the hottest clubs in South Beach. Start with an open bar at Oceans Ten, featuring a live band every night, the Ocean's Ten dancers, and world-renowned DJs. Then climb aboard a party bus or limo and head to one of Miami's hottest clubs, like the splashy and spacious Cameo or chic Nikki Beach Miami. Enjoy free entry, unlimited drinks, and live music while dancing the night away. This South Beach Miami Nightclub Party Package is a great way to celebrate a birthday, a bachelor/bachelorette party, or to just have a fun night out. Enjoy a 1.5-hour open bar at Oceans Ten South Beach, the only open-bar, pre-party location with live entertainment seven days a week. Then, hop in a party bus or limo and head to one of South Beach's exclusive nightclubs, like Cameo, Nikki Beach Miami, Mansion Nightclub, Dream South Beach, IVY Nightclub, or another. Nightclubs rotate on a daily basis. 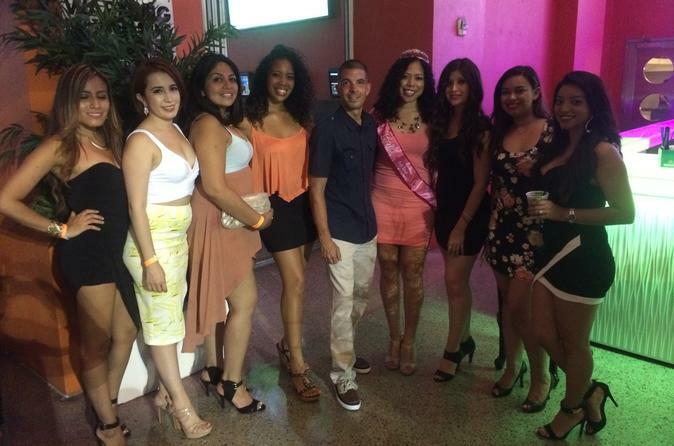 Each party package includes a 1.5-hour open bar from 10pm - 11:30pm, plus party bus or limo service to the selected club with little or no waiting time.